Chickenpox is a highly contagious illness, caused by the varicella virus, that is common in children. It causes an itching skin rash with blisters and they may have a raised temperature. The infectious period lasts from about three days before the rash appears until all the blisters have formed scabs. The incubation period between being infected with chickenpox until the disease breaks out and symptoms appear is 10 to 20 days. Once a child has had chickenpox, they will have immunity to the disease for the rest of their life. However, the virus may return later in life as shingles. Anyone with chickenpox should stay at home while they are infectious. They should avoid scratching the blisters because of the risk of infection. Cut finger nails short or make the infected child wear gloves. 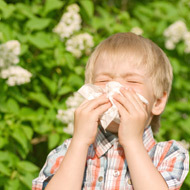 Keep the child in cold surroundings, as heat and sweat may make the itching worse. At Richmond Practice we offer vaccination against chicken pox from 12 months old. Children tolerate it very well and it can prevent outbreak of the disease if administered up to five days after contact. For maximum protection we recommend two injections, 6-8 weeks apart.